Bellator 197 at the Family Arena is just around the corner. On Friday, April 13 the promotion returns for its fourth visit in three years to the St. Louis area and the first time in St. Charles County. In what has seemed to be unfortunately common in the world of MMA (we see you, UFC 223), changes to fight cards happen regularly and Bellator 197 is no exception, beginning at the top. Michael Chandler was looking to regain his lightweight title in front of a boisterous home crowd but the champion, Brett Primus pulled out due to injury. Now, Chandler (17-4) will meet Brandon Girtz (15-7) in a three-round, non-title main event. On the local side, Zach Freeman (9-3) was to face Zak Bucia (18-9), but Freeman had to withdraw due to injury. Derek Anderson (14-3) will take his place. Anderson has been out since his Bellator 170 loss to Derek Campos last January. Before that, he had wins against Saad Awad and Patricky Freire. One late addition to the card was matching "The Gremlin" Josh Sampo (11-5) against Dominic Mazzotta (13-2). It will be Sampo's Bellator debut and also a bump up to bantamweight. Sampo is a four-time UFC veteran at flyweight, and this will be his first fight since leaving the UFC in 2015. It will be Mazzotta's third with the promotion, as he bounced back from a knockout loss against A.J. McKee at Bellator 178 to win over Matt Lozano at Bellator 186 in November. Mazzotta came to Bellator last year with plenty of hoopla with a nine-fight winning streak including victories at both featherweight and bantamweight. 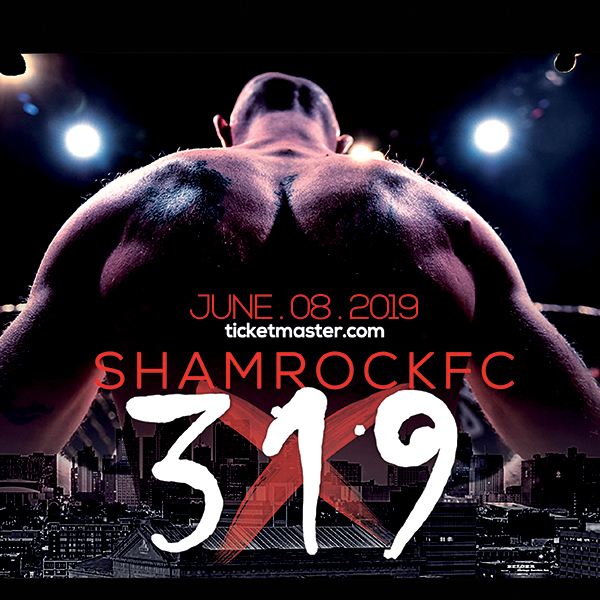 There will be plenty of storylines to yet unfold as Bellator - who continues its collaboration with Shamrock FC when it comes to the matchmaking the undercard bouts - has proven at every St. Louis stop to bring out the best in regional pros. With that in mind, here is a look back at past St. Louis Bellators. With both a cage and a kickboxing ring placed inside the Scottrade Center, Dynamite 2 was a banner night for the locals. Chandler starched Patricky Freire with a thunderous right hand at the 2:14 mark of the first round to win the then-vacant Bellator lightweight championship. Dynamite 2 also had the 21st Century MMA pair of Justin Lawrence and Rebecca Ruth on it. Lawrence and Ruth return on next week's Family Arena card with Lawrence in the co-main slot. Both Lawrence and Ruth began their careers at 21st Century MMA in Pacific, where Lawrence's dad serves as head coach. Ruth still trains at the gym. A 22-year-old Joaquin Buckley (pictured) earned the most significant win of his career at the time with an emphatic victory over Chris 'Stump' Heatherly as he got the finish at 4:14 in the second round. "When it went past the first, I knew the second was mine," Buckley told Knuckle Junkies. "I saw him with his head down, breathing hard, just didn't want to come back for the (second) round and I knew it was over. I was well-rounded. I got to beat him at his own game." Buckley has the stiffest test of his career next on the main card of Bellator 197 against surging prospect Logan Storley. That evening also saw two STL MMA Award winners happen on the dark prelims that went on after the televised portion of the show. In the eventual 2016 Pro Fight of the Year, Byron Stevens finished Lee Burns in the second round in a battle of area heavyweights that would have made former St. Louis Blues Kelly Chase proud. Stevens connected early with a wild punch that had Burns in a bad way but allowed him to recover sending the fight into the second round. In the second it was Burns who would look to end the fight, having a very badly winded Stevens in trouble against the cage. Stevens would recover, and with both fighters sucking air, Stevens was able to put Burns down. Ashley Cummins won STL MMA honors with a devastating submission of the year of Nikki Smith. Cummins used an inverted darce grip with her knee on the carotid artery of Smith in a submission we dubbed the "Smashley Head Smasher". Other highlights included a Brad Jones head kick KO of Tyler Claussen and Matt 'KO Kidd' Murphy getting a second-round win via doctor's stoppage. Murphy accepted the bout Tuesday of fight week. Chandler was again victorious on the main card, and Lawrence saw a four-fight win streak come to an end. On the undercard, Kyle Kurtz worked his shift as a welder that day, then drove 90 miles to St. Louis and submitted Steve Mann in the first round. "I've been up since 6 o'clock," Kurtz told Knuckle Junkies. "My boss wouldn't let me off work. Said I didn't have any vacation. He said if I took off I could pretty much say good-bye. I didn't want to lose my job. I have a family to support. I went to work, figured I'd tough it out, then come in here and get the victory so I can get two paychecks. It's hard labor. I'm not sitting around a desk or playing on the computer or something. I worked (the day) straight through so I could take off a little early. Of course, it makes me a little tighter, but at the end of the day I gotta go out there and get that victory." In a nominee for 2015 STL MMA Pro Fight of the Year, Jeff Crotty had not fought since 2011, but he gave Garrett Gross plenty to handle in their 160-pound catchweight. Both threw caution to the wind in the first round, landing shots that would have dropped most for good. Crotty, who was a 7-1 amateur, went to his wrestling base for his pro debut as he had his best round in the second while Gross sealed the win with a convincing third, earning a 30-27 unanimous decision victory. Other big wins for the locals was Adam Meredith's finish of Jordan Dowdy, Rashard Lovelace over Brandon Lowe and Kain Royer's submission win over Enrique Watson. Ken Shamrock. Kimbo Slice. Post-fight Nick Diaz stories. With the help of Jesse Finney and Shamrock FC, big-time MMA returned to St. Louis with Bellator 138 at the Scottrade. 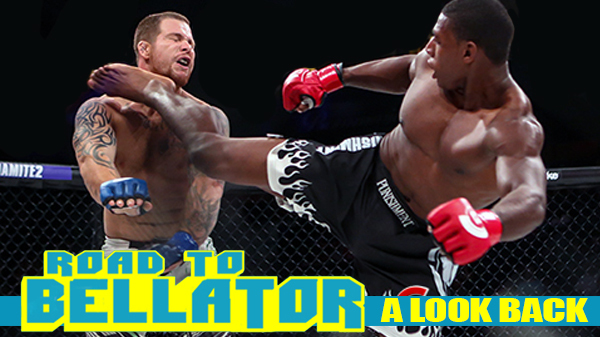 Bellator's then-new rich sound system and massive video monitors took the fighter introductions to the next level. Chandler's intro had a sprawling St. Louis-based theme that heightened what was already going to be a dramatic moment, his first time fighting back in the region in several years. Chandler lit the house on fire to start the main card by strangling Derek Campos, Lawrence showcased his ever-growing arsenal of skills in a win, and Hugh Pulley and Eric Irvin put on what would be the 2015 Pro Fight of the Year. It didn't fail to live up to the hype as Pulley and Irvin mixed and matched in an excellent see-saw affair. Pulley eliminated any doubt of big stage fears as he pushed forward from the drop, scored a nice judo trip late, and ended the round with some elbows. Irvin came back in the second, landing a takedown and holding Pulley down for the bulk of the round. Irvin was controlling the bulk of the third round, and Pulley appeared to tire but was suddenly rejuvenated when he landed a kick to Irvin's body that sent Irvin to the canvas. Pulley did land some ground and pound but was unable to finish Irvin off. When the judges' scores came in it was Pulley with a split decision win over Irvin. 29-28, 28-29, 30-27. "This is the most awesome feeling I've ever had .. this is a really humbling experience," Pulley told Knuckle Junkies. "I'm always the underdog. I've been the underdog since the beginning of my fight career. Ever since I was an amateur, I was always called the 'opponent.' People realized later on that I was the real deal. It was a good experience. Who better to have that experience with than Eric Irvin." In other highlights, Heatherly exposed Gross' then-grappling deficit, and Kurtz tapped Adam Cella with an armbar. What storylines will emerge from Bellator 197? Watch yourself and find out. The main card will air live on the Paramount Network while the prelims will air on MMAJunkie.com.